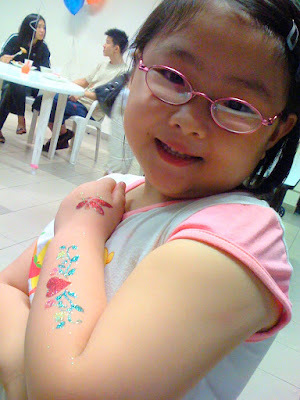 She loved the glitter tattoo! She has more afterwards, with her legs covered as well. :) Very sweet 7 year old!